The country singer and her ice hockey hubby are expecting! 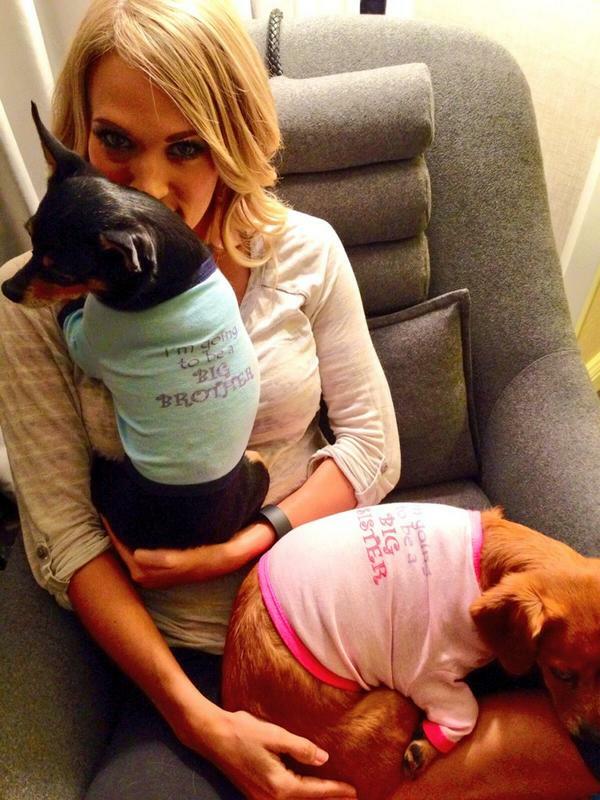 On Monday, Sept. 1, the singer-songwriter tweeted a picture with her dogs, Ace and Penny, wearing shirts announcing they were going to be big siblings. In honor of "Labor" Day...Ace &amp; Penny would like to make an announcement. Their parents couldn&#39;t be happier! Underwood's hubby of four years, NHL player Mike Fisher, also tweeted the couple's big news, jokingly stating they're expecting another dog. No word yet on whether the pair will be expecting a little cowboy or cowgirl, but congratulations all the same!